Yes! 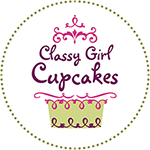 We deliver cupcakes and cakes locally in Milwaukee and the surrounding counties. There is a minimum of a dozen cupcakes or $36 worth of bakery for delivery, plus a delivery fee depending on location. Does your Brookfield Square bakery offer delivery? Most deliveries are done out of our Cathedral Square location, as that’s where our delivery drivers work. Brookfield Square can sometimes take delivery orders within a few miles of the mall for a reduced rate, please call 262/794-3323 to inquire. If you call our downtown Milwaukee bakery at 414/270-1877 right away in the morning, we can often accommodate same day delivery requests. You can choose from cupcake flavors we have in stock, or we can surprise you with an assortment of our most popular flavors. We do prefer at least 2-3 days notice for deliveries if possible. We deliver during our normal business hours, though we may be available outside of posted hours for catering orders. When placing your order for delivery, please give us the widest time range possible in which the recipient can receive the order, which helps us to organize our schedule around other deliveries. What can I order for delivery? As long as you meet the $36 minimum and minimum lead times and quantities, you can order anything on our website for delivery! You can select from the cupcake flavors we make every day, which include Carrot Cake, Confetti, Cookies & Cream, Ghirardelli Chocolate, Lemon, Peanut Butter Delight, Red Velvet, Vanilla, and Vanilla Salted Caramel. Any other flavor requires a minimum order of 6 per flavor, otherwise we can surprise the recipient with a nice assortment of cupcake flavors we have in stock on the delivery date. You can also pre-order cakes and other bakery items for delivery. What information do you need for a delivery order? How can I pay for my delivery order? You can place your order online for delivery at least 2 business days ahead. You can also call or e-mail us, and we can take credit card payment over the phone, or send you a Square invoice you can pay securely online. You can also stop in to place your order and pay in cash. Please note all delivery orders must be prepaid, and we do not accept cash on delivery (COD) orders. Our delivery drivers always appreciate tips, though it is not required. We pay our drivers a fair hourly wage plus mileage reimbursement, and they are all trained Classy Girl Cupcake employees (not contractors). Since many of our deliveries are gifts, the recipient often isn’t prepared to tip, which we understand. Do you offer candles, balloons, flowers, or gift packaging? Our Cathedral Square bakery location sells several varieties of candles which we are happy to add to your order. We do not offer balloons, flowers, or gift packaging. Delivery orders are packed in nice white bakery boxes with our label, or plastic snap containers depending on the size of the order. Currently we can only ship our cupcake push pops. We cannot ship cupcakes or cakes at this time. When and where do you ship? We ship our cupcake push pops by FedEx 2nd day Monday through Wednesday, or FedEx overnight Monday through Thursday anywhere in the US. We can ship ground in the midwest only, but please note delivery time ranges on ground shipping are not guaranteed. We have these shipping restrictions in place because we do not use preservatives in our products, and they will stay fresh up to 5 days including transit time. We do not ship internationally. Shipping is calculated by weight based on the shipping address. Please contact us to get a shipping quote for cupcake push pops to your address.